If this group of five albums had to be given a theme I guess it would have to be dance and / or electronic, the unheard Jean C. Roche not withstanding. I have waxed lyrical at many intervals on this blog about my appreciation for electronic music and the artists below give an excellent argument for my passion. Music was never the same after computer sounds were listened to and synthesisers offered us their post modern angst. Sometimes the listening would be easy as with most of the 4Hero work, and sometimes the music would be incredibly difficult as with Paul Dolden, but its change wasn’t merely the superficial 1960’s space sounds of the brilliant Barron’s and their Forbidden Planet. Not that it is fair to call that music superficial – but the baton was accepted and the race proven to be much longer than anticipated. The artists below are very different, from each other, and from the original styles they are happy to cite as influence. They inhabit a certain vibe carrying a kind of truth of their roots, but the electronic gift has allowed them to spread viscerally , using a gut instinct for art to guide their tendrils rather than the minds pulse. The music below is so special and so exciting. Enjoy. To read the previous installment of this list go here. To read the original Wire list go here. I have a pretty basic Techno knowledge, so I’m going to refer to a great review on White Dot for this fine fine album. This is techno way ahead of its time. 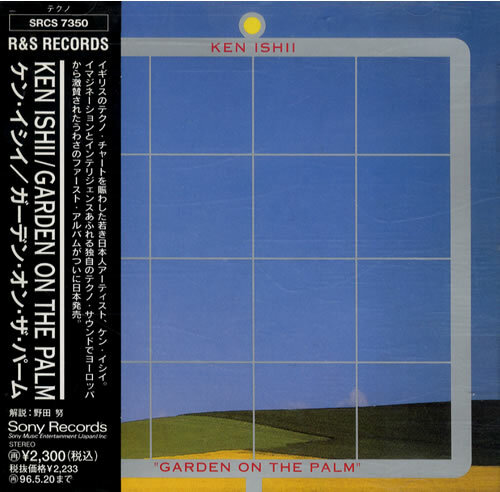 Debut 1993 album by prolific Japanese techno producer, released on the legendary Belgian label R&S (although this is ripped from the Japanese cd). This is definitely techno of the abstract persuasion – the title track opens the album with some queasily wobbling bass and weird stabs over an offbeat rhythm; then a warbling computer whistle ushers in some very monged mid-range synths. Definitely one for adventurous DJs back in the day, although it does have a totally serviceable techno beat. 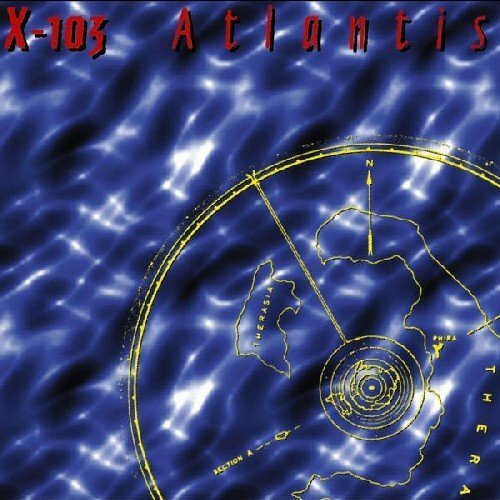 I have no idea what the Japanese techno scene was like in 1993, but this album certainly has quite an alien sound to it: none of the snare rolls, bouncing bass lines or pummelling beats that were so common in UK and Euro techno (not that I dislike those things in the slightest). The next track ‘Loop’ is a superb spaced out synth exporation, with no kick drum, then ‘Prodrome’ brings back the weird-beard techno in terrific fashion. ‘Nil’ then ramps it up with the most banging kick drum on the album, with slightly ‘Relief’-sounding percussion. The album displays class throughout, and is marvellously produced. Even a housy vocal snippet on ‘Popgun’ fits in with its odd backdrop: invoking tension and alienation rather than euphoria. It had to happen. Here is an album I can’t comment on because I have never heard it. I can’t seem to find even a sound sample anywhere. If Anyone can help me out, I’d love to hear it. I’m really going to have to cut n’ paste from Wire – sorry folks. As a genre, field recordings of animals have rarely ventured outside the domains of field guides for wildlife spotters and New Age relaxation tapes. 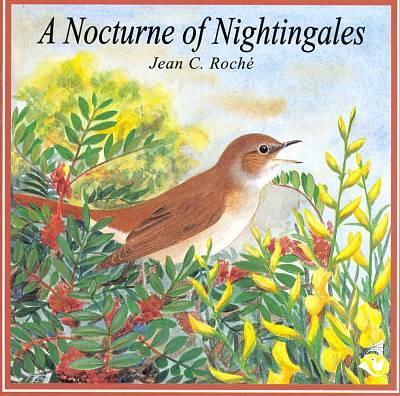 Jean C Roche’s project to record ‘concerts’ of nightingale song, pursued since 1958, escapes the tweeness of its own packaging largely through the arresting qualities of the nightingale song itself. Billed as high art performances given in “Woodland Edge In Bourgogne, May” or “In Willows Beside A Lake, Southern Finland, June”, the brief and flickering patterns of oscillating sound, diving whines, aggressive pulses and piercing beats in a shifting variety of timbres bear striking affinities with the more futuristic tinkerings of human on analogue synthesizers. Not so much a question of framing nature with music, as framing music with nature. Species fusion music has yet to be investigated. According to Mason Jones at Dusted, this album lost a little on its journey through time, and while I can see that point, for me it’s still a stand out. Some say its Jeff Mills sole work, but there is a little bit of controversy around that. Either way its an intense, diverse exciting contribution to the world of electronica that (fro me) explodes boundaries even when I listen to it today. Stylus on vinyl stalks the circular structure of the underwater city through a series of alien rippling ambiences and metallic rhythm workouts. While “Eruption” outstrips any Gabba track for sheer punishing energy, the warbling “Thera” is an understated moment of gothic magnificence. Five years on, Mill’s ideas are now almost mainstream – “Hagia Triada” is similar to his Purpose Maker track “Alarms”, now a standard DJ mixing tool – and how many are still out there on their own. “Minnia”, my favorite Mills piece, sounds like Miklos Rosza with Grace Jones’s “Slave To The Rhythm” turning into an early Chicago House track. Paul Dolden began his career at age 16 as a professional electric guitarist, violinist and cellist. Since age 29 he has won over twenty international awards for his music which is performed in both Europe and North America. His approach to audio technology is to use it as a platform from which to launch otherwise impossible musical performances, thereby making his computer behave like a virtual orchestra. 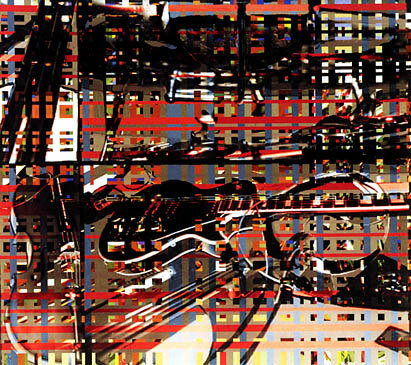 His compositions are characterised by a maximalist aesthetic in which hundreds of digitally recorded instrumental and vocal performances are combined in multiple layers. The above You Tube clip isn’t from this absolutely amazing album. I wanted to give you a bit of a feel for the enormity of this man’s work. The album highlighted by Wire is an incredible tour de force. For me it is enormously challenging – very pleasurable. Happy or sad? It defies interpretation. Of the album, Dolden himself wrote: The title L’ivresse de la vitesse (Intoxication by Speed) is an allusion towards my current artistic intentions which involve the speeding up of an excess of musical ideas so that the composition and its materials exhaust themselves in the shortest time possible. The intoxicating aspect of speed is evoked by using primarily fast tempo markings and rapid changes in orchestration, density and dynamics. These elements can be particularly sped up to the point of exhaustion and intoxication in the digital audio studio which is limitless or ‘virtual’ in its colour and density possibilities. You can grab a listen to the actual album here. Another mega fave of mine from this stunning list. This is one of my “chill out” transitional albums in the tender hour between the fulsome home arrival at the end of the day and the thrilled excitement of an evening ahead after I’ve managed to unwind. 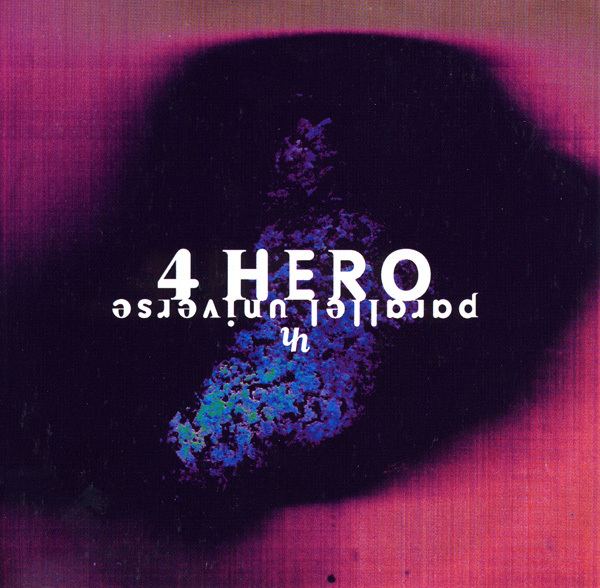 There are very few albums that can ease me through that traditional phase and 4Hero happen to have made more than one of them. Re-styling jungle into sonic collages of beats and loops, threaded through with saxophones, guitars and female vocals, the greatest strength of Parallel Universe lay in its ability to touch on all the disparate bases of the breakbeat scene and make it appear totally natural that they should all be sitting there together. 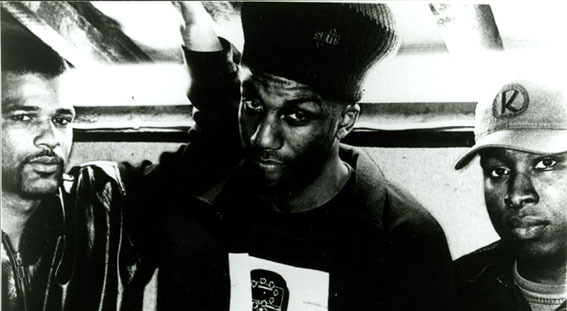 Drum n’ Bass wasn’t a firm genre just yet – or at least it wasn’t conventional just yet – so this move was groundbreaking in so many ways when it first came out in 1994. A well-rounded album filled with vision and ambition and for me, the start of something that I have yet to get over.